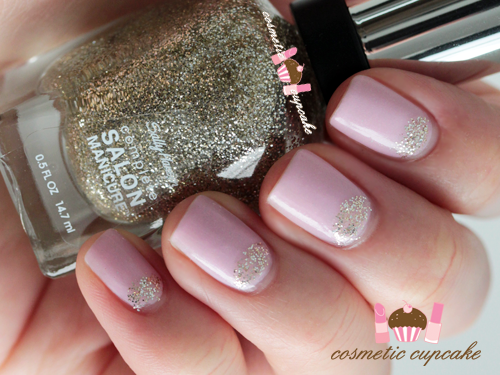 Some quick nail art for you today! I saw this gorgeous half moon mani by Sam from A Curiousity last week on Instagram and decided to give it a go myself on the weekend. It's such a sweet combo! I used 2 coats of Hello Darling Sugar & Spice and I freehanded the half moons using a striper brush and Sally Hansen Complete Manicure Golden Rule. It's definitely not the neatest half moons but hey glitter hides a thousand sins!! Happy Sunday!! Gah can you believe the weekend is over already?!! It was such a beautiful weekend and I am really dreading going back to the drudgery of work =( On Monday's I like to wear particularly bright shades as my protest to it being Monday but sometimes I like a good palette cleanser and Bourjois So Laque! 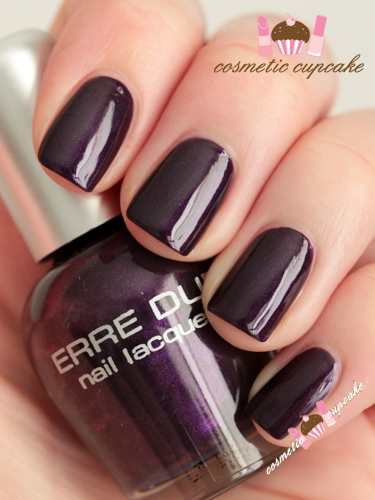 Ultra Shine in Rose Lounge is the perfect shade for it. 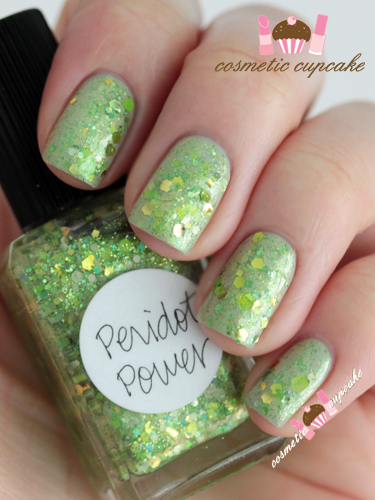 It also makes a great wedding shade too - Kate Middleton wore it for her wedding 2 years ago! "So Laque Ultra Shine, the new revamped version of So Laque. 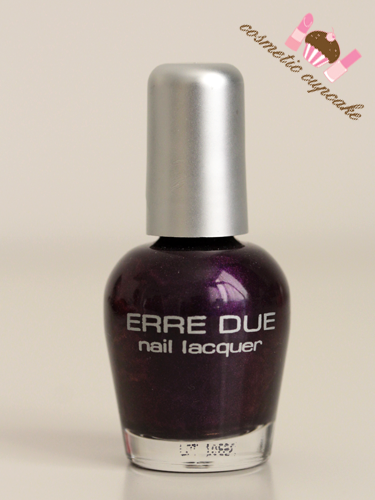 Twice the Vinyl for intensely lacquered nails with maximum shine! The formula is enriched with twice as much vinyl and a blend of highly reflective resins for nails with incredible shine. So Laque Ultra Shine, a long-lasting hold for up to 7 days.. a range of pure, lacquered shades with no sparkles or shimmer, for smooth, radiant colour on nails." 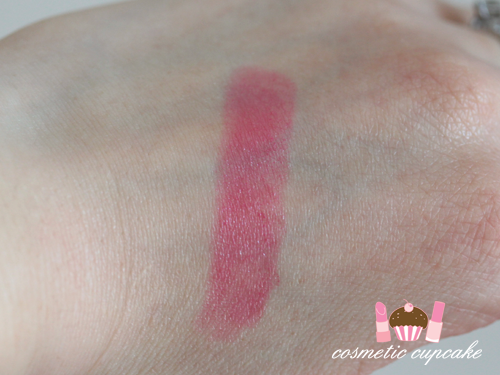 Rose Lounge is a very pretty sheer, milky pink. 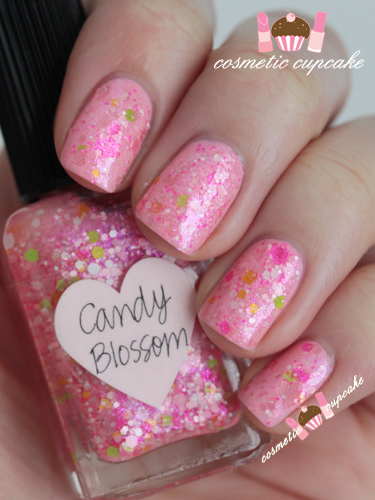 I love sheer pinks but it's hard to find one that doesn't streak and applies easily. Rose Lounge surprised me and ticked both those boxes!! It applied easily and the wide brush was great to use. I used 3 thin coats which is pictured and you can still see some VNL but I left it at 3 as I didn't want it to become too thick. It dried quickly even though I used 3 coats and dried to a high gloss finish. 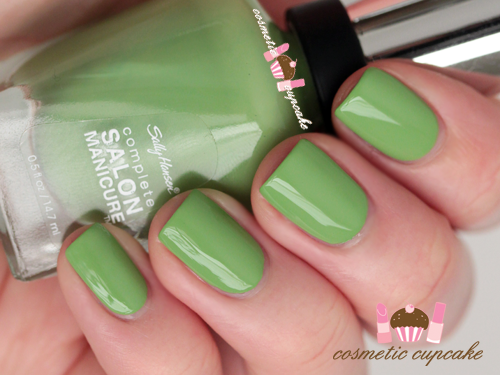 I can see why it's a popular shade!! 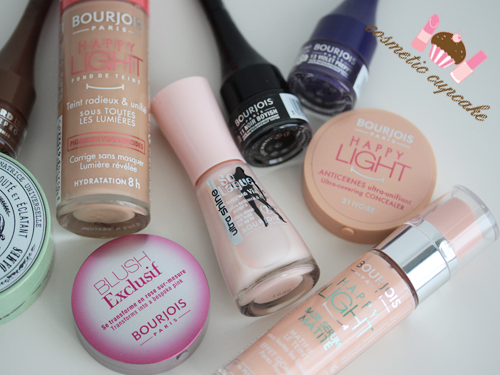 Details: Bourjois So Laque! Ultra Shine polishes are available from Target, Priceline, Priceline online store and selected Myer stores and pharmacies Australia wide for $12. Are you ready for more Lynnderella swatches? 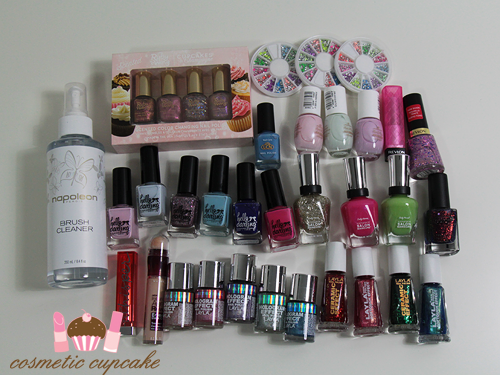 I'm always ready for these gorgeous glitters! 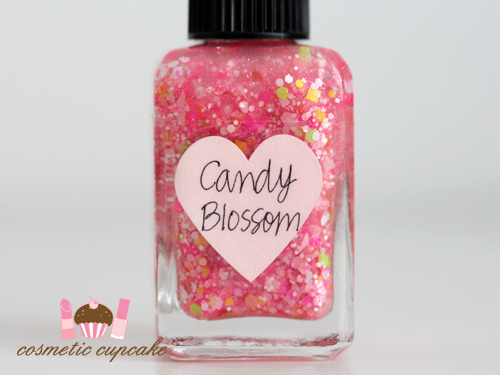 Today I have swatches of Candy Blossom which is from the Everything's Coming Up Neon collection. 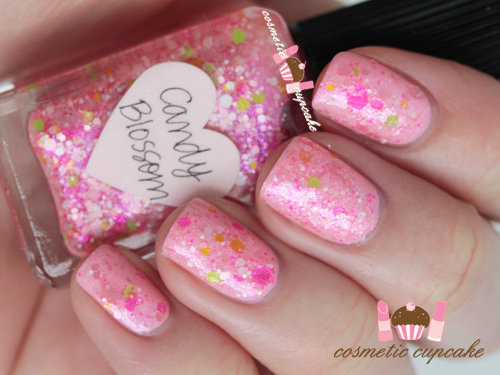 Candy Blossom is made up of pastel and neon pink, neon green, white and yellow glitters in a clear pink-shimmered base. It is such a sweet combo like the name suggests!! I love the little pops of yellow and green to break up the pink. Unfortunately my camera decided to wash my photos out but the glitter is more vibrant on the nail. 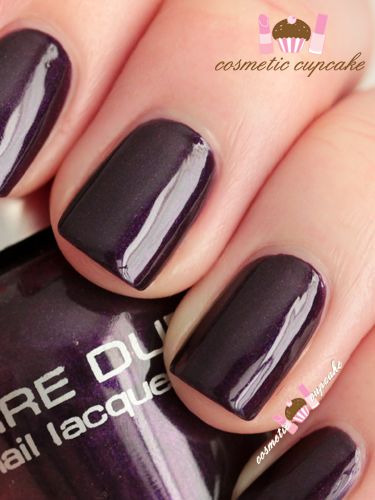 3 coats is pictured over 2 coats of China Glaze Empowerment. 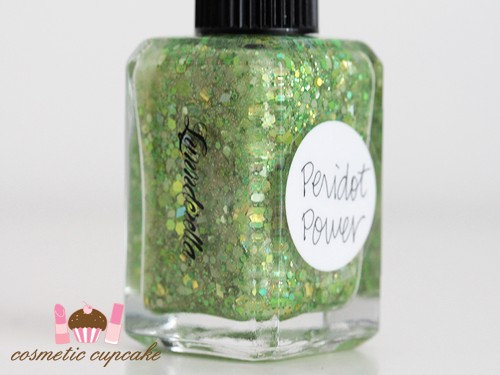 Details: Lynnderella polishes can be purchased from Glitter Connect for $24.95 for Aussie ladies (make sure you check out and like the Glitter Connect Facebook page! 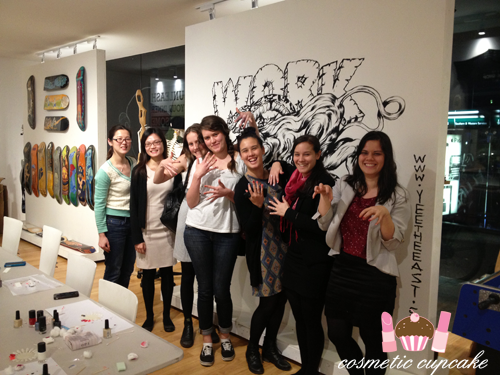 ), Lynnderella.com for US ladies and Norway Nails for European ladies. 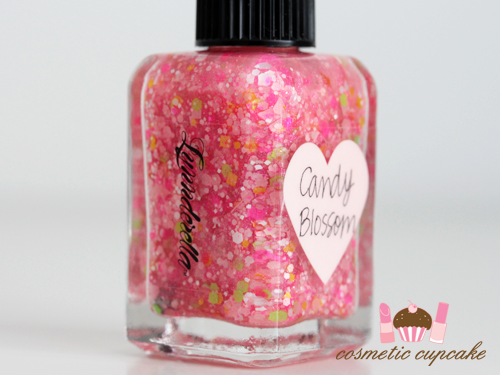 You can check out my other Lynnderella swatches here!! I have one more left to show you =) Thanks for looking as always! I absolutely LOVE my Revlon Lip Butters so I was sooooooo excited when I spotted their new Pacific Coast collection by Gucci Westman in store which includes four gorgeous new Lip Butter shades - Wild Watermelon, Juicy Papaya, Pink Lemonade and Sorbet!!! Of course I wanted them all but even with the Chemist Warehouse 50% off sale I still limited myself to just one xp I'm trying to be good! Juicy Papaya and Pink Lemonade are rather sheer so I ended up purchasing the gorgeous Sorbet. The Lip Butters are packaged in the cute ColorBurst quilted design with a coloured case and clear top insert making it easy to see the shades. I love seeing my colourful collection in my lippie stash!! If you've been reading my blog for a while you know I love the whole lipstick/lip balm formula which is why I adore these! The formula feels like a lip balm but packs some colour and are really moisturising as they contain mango, shea and coconut butter. 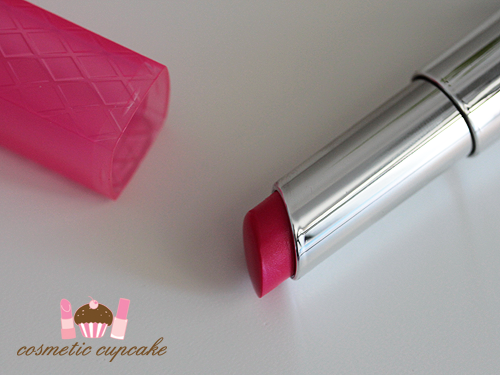 Sorbet is a gorgeous bright cool toned fuchsia pink and gives a sheer to medium coverage that's buildable. I'm always drawn to shades like this especially for the warmer months and it's very quickly become my favourite shade!! I think I've worn it everyday since I bought it haha. Lip Butters don't tend to last all that long on me but I get about 3hours wear from Sorbet and it leaves a slight stain. Details: Revlon ColorBurst Lip Butters are available from Kmart, Target, Myer and pharmacies for $21.95 but are 50% off at Chemist Warehouse until tomorrow so hop to it!! Hi ladies! 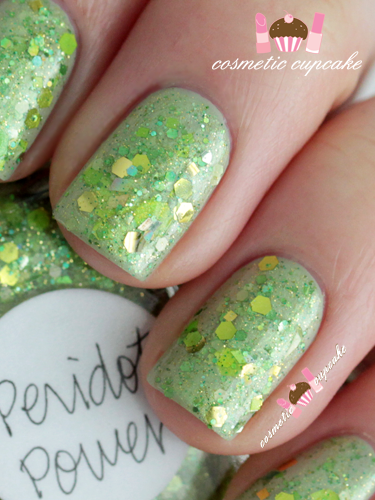 Today I'm sharing swatches from Bio Sculpture which is a brand I haven't tried before! I always love trying new brands so I was excited to try them out. 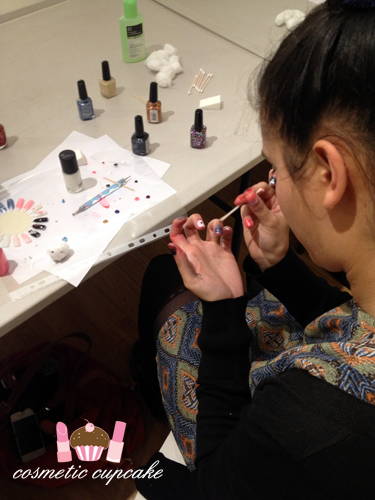 When I think Bio Sculpture I think gel polish but they also do normal polishes as well! 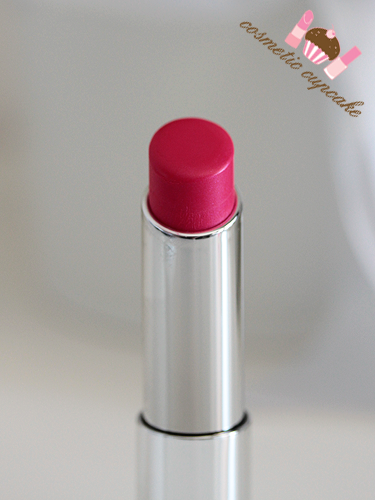 I have two pretty Spring shades to show you - Hot Pink and Brigitte. 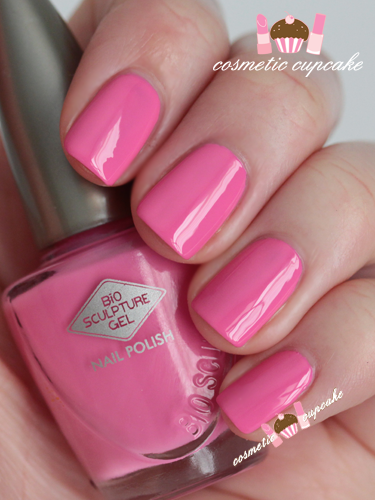 Hot Pink is a beautiful glossy bright bombshell Barbie pink. 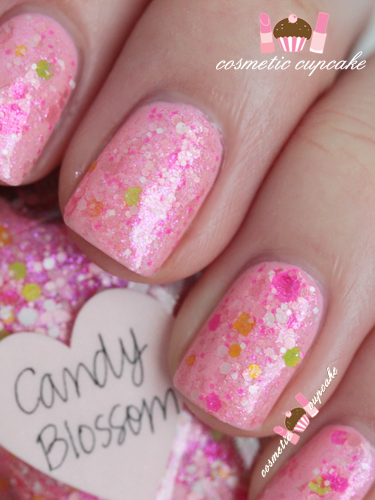 I love love LOVE these types of pinks! Bright and in your face. 3 coats is pictured. Brigitte is a gorgeous pastel banana yellow creme from their Spring/Summer 2014 Hollywood collection which is inspired by 1950s movie stars. This just absolutely SCREAMS Spring to me!!! 4 coats is pictured. 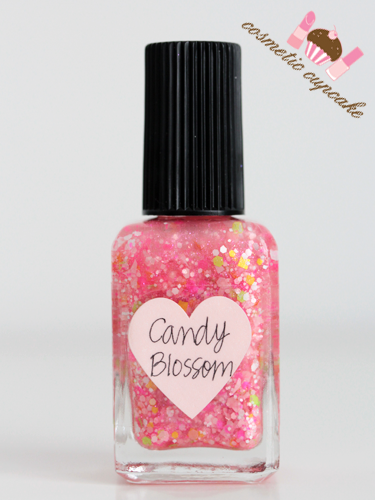 Overall: Hot Pink and Brigitte are perfect shades for Spring/Summer and the high gloss finish is fantastic! Unfortunately I was pretty disappointed with the formula and the brush. 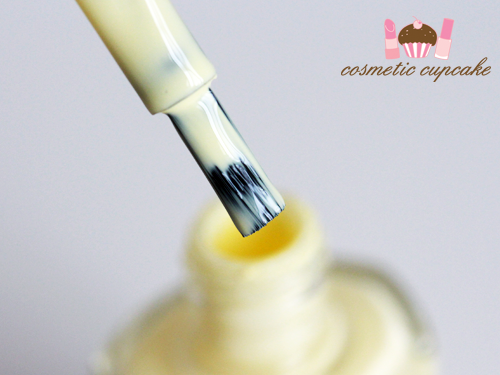 The formula of Brigitte is very thin and I had to use 4 coats for full opacity which is just too many coats for me although I adore this shade of yellow. Considering I had to use 4 coats dry time was quite reasonable though. 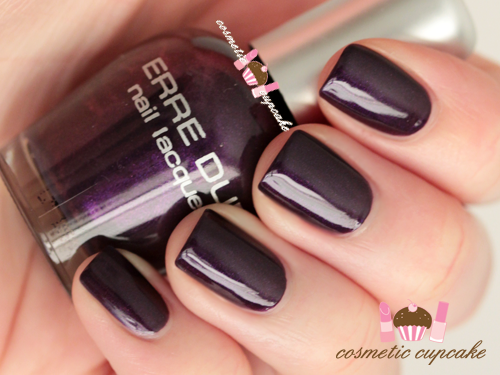 Because of the thin formula, it made application really difficult and I had to redo my swatches for Brigitte twice. 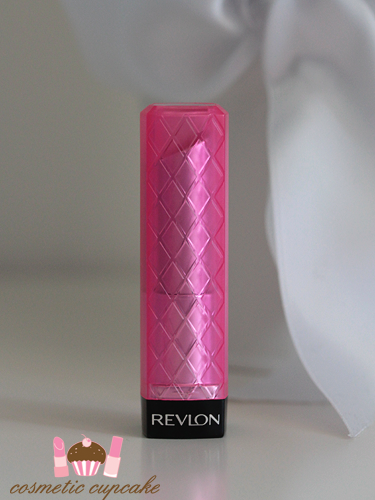 The formula of Hot Pink is more opaque but it's still on the thin side. The brush (see pic below) is flat and straight which I found difficult to control to get a clean finish. Hopefully it's just these lighter shades that have a disappointing formula as the shades are gorgeous! 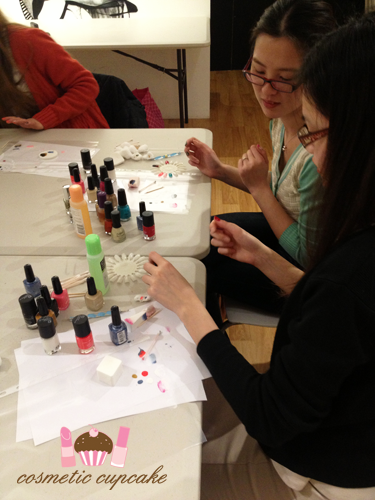 Details: Bio Sculpture polishes are available from salons for $19.95. 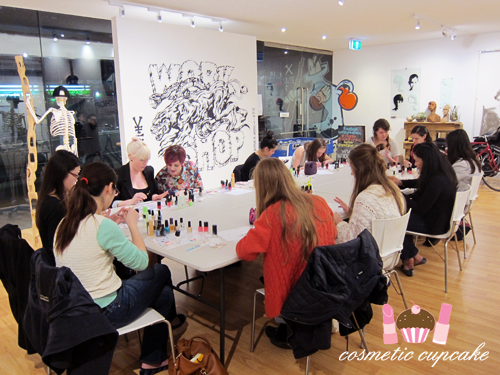 For more info and to find your nearest salon, contact 1300 BIO GEL (1300 246 435) or visit www.biosculpture.com.au. 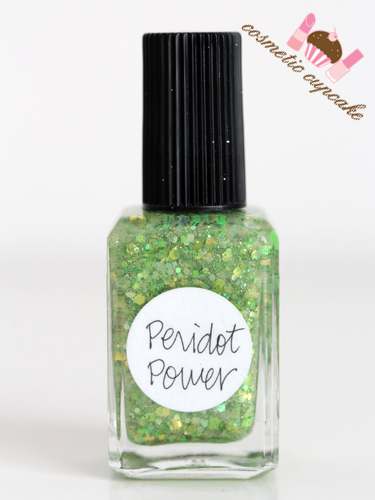 Peridot Power is made up of translucent neon yellow and lime hexagons as well as chatreuse glitters accented with microglitters in a clear base. I don't own any glitters like this so I'm pretty stoked to add to to my collection! 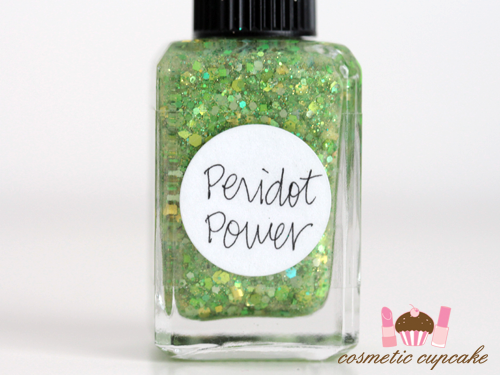 I love the colour combination of Peridot Power - it'd be perfect for a more classy Australia Day mani x) 2 coats is pictured over 2 coats Kester Black Moss. Excuse the wrinkled fingers oops! The effects of acetone and not enough moisturiser haha.